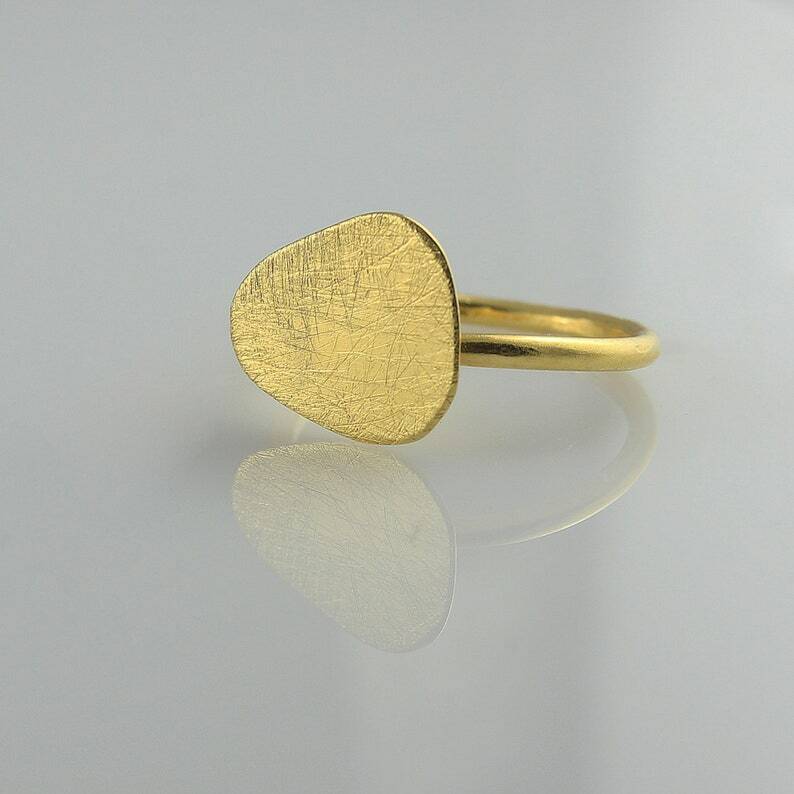 Solid yellow brushed gold signet ring for women. Asymmetrical free form 14k or 18k gold pinky ring. Super unique asymmetrical free form gold signet ring for women. The shape is an asymmetrical solid gold plate. It has a gorgeous brushed matte finish. Young and modern minimalist design that will fit everything in your closet - from daily wear to evening outfits. This ring has clean lines. it is delicate yet has an impressive presence. * Plate length - 13 mm / 0.512"
* Plate width - 11 mm / 0.433".